Volunteers make a beer festival go—and they are likely to be a resource you will want to employ for your beer festival. But staffing your festival with volunteers isn’t as easy as placing a clipboard in your tasting room and collecting names. Here Beall Brewery Insurance spotlights some of the issues you will need to consider for enlisting and utilizing festival volunteers. It’s a new year, and a new month. And that means it’s a great time for a new outlook at your craft brewery. 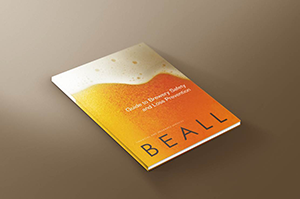 It’s National Hand Washing Awareness Week, and Beall Brewery Insurance wants to take the opportunity to point out that hand-washing reduces respiratory illness—like colds—by more than 20%. Service animals in the office. Comfort animals on the airplane. Tiny pets in handbags.